This elegant and thoughtful work offers an important new way of understanding Jane Austen by defining the fundamental impact and influence of British Romanticism on her later novels. In comparing the earlier and later phases of Austen's career, Deresiewicz addresses an important yet neglected issue regarding her work: the longstanding critical consensus that Austen's last three novels (Mansfield Park, Emma, and Persuasion) represent far greater artistic achievements than do her first three (Northanger Abbey, Sense and Sensibility, and Pride and Prejudice). Jane Austen and the Romantic Poets offers a rich account of the differences between the two phases of Austen's career. 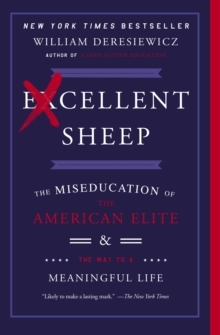 In doing so, it contextualizes her later novels within the British Romantic movement and the works of Wordsworth, Coleridge, Scott, and Byron. 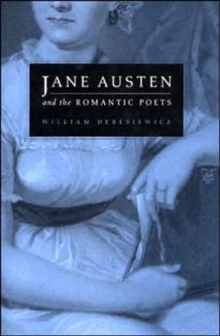 Through close readings of Mansfield Park, Emma, and Persuasion, Deresiewicz reveals the importance of Romantic ideas in Austen's later work, considering the ways in which the novels investigate hidden mechanisms of psychic and affective life, including "substitution," "ambiguous relationships," and "widowhood. 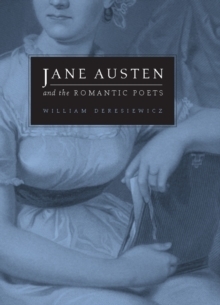 "Deresiewicz's innovative approach and its emphasis on Romanticism opens up new perspectives on Austen's later novels by exploring their patterns of imagery, narrative logics, and social and historical dimensions.